This post gives you a brief introduction to “big data”, a term used in many circles and in many businesses. 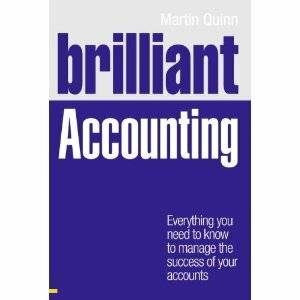 The following posts will then give some examples from real business to help you understand the effects this might have on accounting and accountants. Big data refers to the explosion of quantity (and sometimes, quality) of available and potentially relevant data, largely the result of recent and unprecedented advances in data recording and storage technology. 1) big-data is ill-defined.. We are not sure what exactly big data is, but a Jevons Paradox seems to exist in the world of big data. As technology evolved to allow the storage and analysis of large volumes of data, more data is being stored and analysed by organisations. 2) big data is intimidating. He asks “how do we make big data approachable” from perspectives such as having tools to analyse data, to getting the right insights and information from the data. 3) big data is immediate. Huge volumes of data are generated, but the analytical value of this data can decay rapidly. For example, in the near future companies like Google and Groupon may display adverts on mobile devices for businesses in the immediate proximity of a consumer – the time to analyse and act on this data could be a matter of minutes, or even seconds. Diebold, F. 2003, “ ‘Big Data’ Dynamic Factor Models for Macroeconomic Measurement and Forecasting” (Discussion of Reichlin and Watson papers), in M. Dewatripont, L.P. Hansen and S.Turnovsky (eds. ), Advances in Economics and Econometrics, Eighth World Congress of the Econometric Society. Cambridge: Cambridge University Press, 115-122. This whole craze about big data is making companies devote resources to collecting data, rather than analyzing it. Data is only valuable if you can convert it to information. Getting “big data” in an of itself seems pretty worthless. Agreed George. I try to deal with this in the next two coming posts.